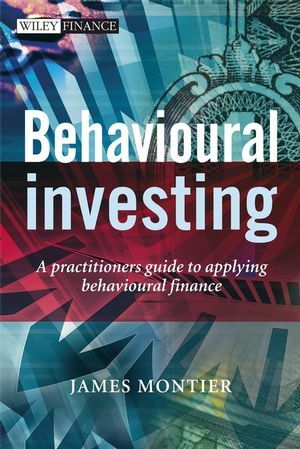 Behavioural investing seeks to bridge the gap between psychology and investing. All too many investors are unaware of the mental pitfalls that await them. Even once we are aware of our biases, we must recognise that knowledge does not equal behaviour. The solution lies is designing and adopting an investment process that is at least partially robust to behavioural decision-making errors. JAMES MONTIER is the global equity strategist at Dresdner Kleinwort in London. He has been the top rated strategist in the annual Extel survey for the last two years. 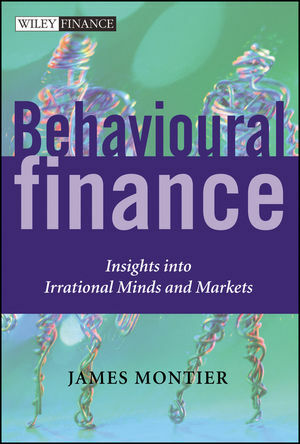 He is also the author of Behavioural Finance, published by Wiley in 2000. James was on the 50 must read analysts list complied by the Business magazine, and was one of the Financial News' Rising Stars. James is a regular speaker at both academic and practitioner conferences, and is regarded as the leading authority on applying behavioural finance to investment. He is also a visiting fellow at the University of Durham. James is also a fellow of the Royal Society of Arts. He has been described as a maverick by the Sunday Times, an enfant terrible by the FAZ, and a prophet by the Fast Company! When not writing or reading, he can usually be found blowing bubbles at fish and swimming with sharks.